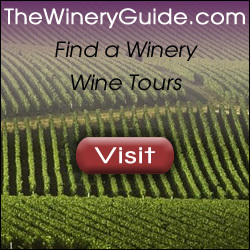 Give a great gift for any wine lover. Deluxe wine carrier set featuring a case with padded interior. 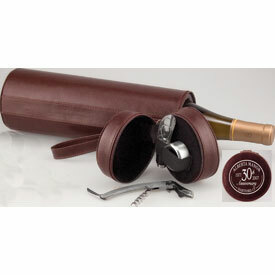 Tools include bottle drip ring, corkscrew/foil cutter and bottle stopper. Wine accessories are shipped in foam lid which detaches as a separate unit. Includes a gift ox. Carrier case is brown. 14″ x 3″. Imprinted on top of case in area 2-3/4″ diameter. Carrier holds one bottle of wine (not included). Minimum is 12 pieces at 17.10 ea. 24-47 15.77 ea, 48+ 14.65 ea. Set up is 45.00.